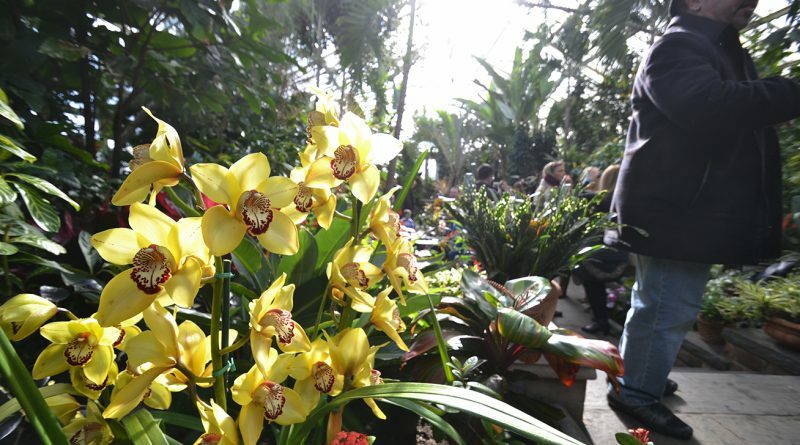 Jaw-dropping tropical plants, colorful orchids, palm trees, begonias and ferns will surround you in the Winter Garden, also known as the Main Greenhouse. As you sit and admire the greenery or perhaps snap some photos, you can enjoy the sounds of a live steel drum performance by Steel Drum Mania. Kids crafts are also offered in the greenhouse throughout the day. Take a walk over to the Camellia House, another greenhouse on the grounds that hosts a large collection of camellia blossoms, for a different view and to hear the tunes of flamenco guitarists Alan & Hugo. From there, it’s another short walk to Coe Hall, where you can experience more live music with pianist Jack Kohl. You can also take self-guided tours through the mansion. I can’t think of a better way to spend a January Sunday than in the warmth of greenhouses, surrounded by fun music and tropical greenery. You can enjoy vacation vibes without the plane ticket! Paradise Garden Festival — 11 a.m.-4 p.m.